The release of fourth quarter GDP data has seen our currency push up. This move has been amplified by the overnight US Fed move which saw the greenback slip lower. In the shadow of these moves, the US Treasury benchmark yields have also fallen. The UST 10 year is now at just 2.53%. 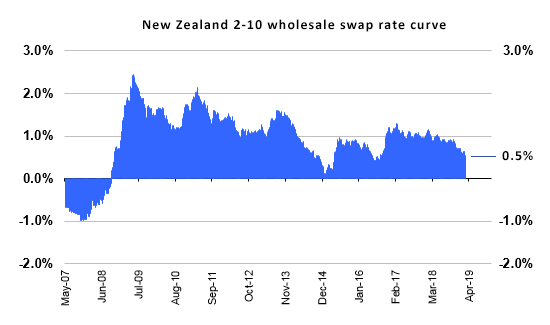 And that has given impetus to our local wholesale swap rates which are also on the move lower again. But it is the long end that is moving the most. 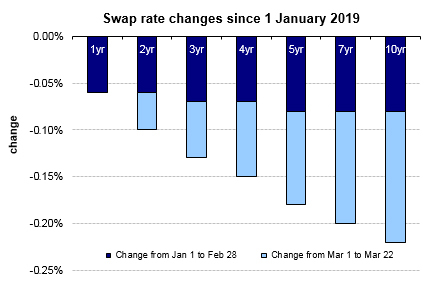 Our 2-10 year swap curve is now below 50 basis points for the first time since mid-2016. Most of the 2019 shift has been in the past two weeks. Today, the long end has dipped yet again. In the long run, these recent changes are not out of the ordinary however. But a clear trend is developing. 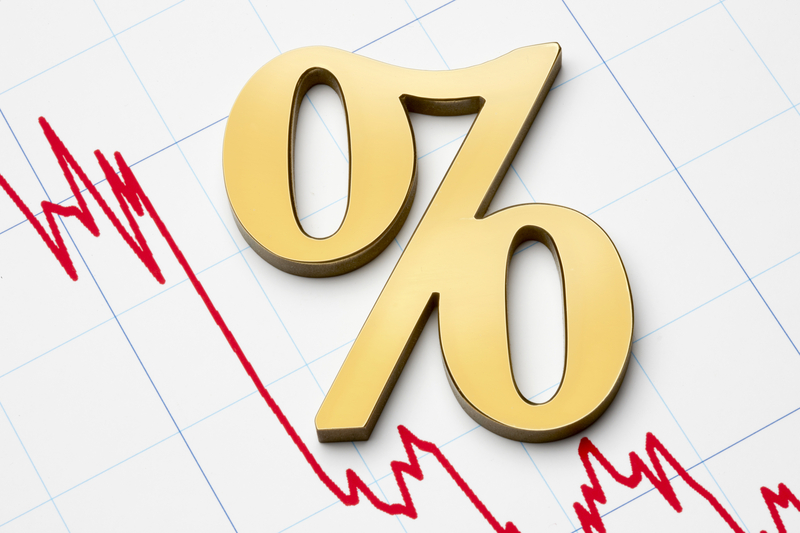 The lack of change at the short end will limit how much mortgage rates can shift. But remember, this wholesale money cost is less important for bank margins than the cost they pay for the $345 billion they have in customer deposits. Wholesale money used by banks is worth $134 bln.